The American Institute for Contemporary German Studies (AICGS) cordially invites you to attend and support the 25th annual Global Leadership Award Dinner. 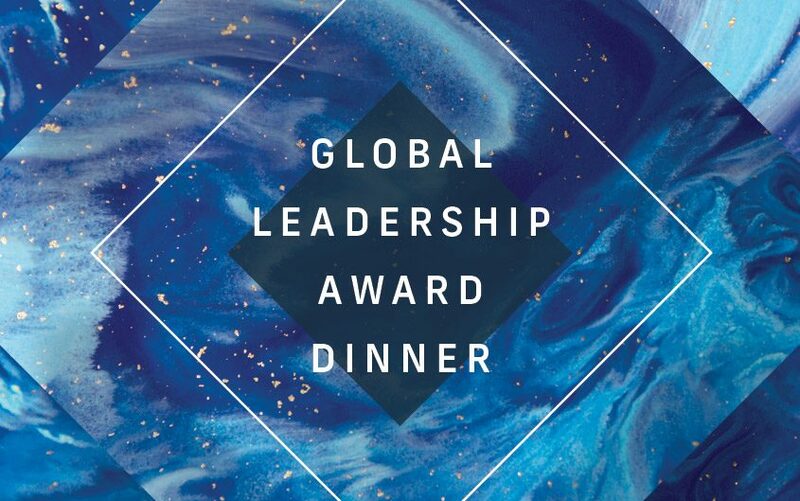 The American Institute for Contemporary German Studies at Johns Hopkins University (AICGS) cordially invites you to support the 25th annual Global Leadership Award Dinner. This esteemed award recognizes the achievements of business pioneers and government leaders who have profoundly shaped the partnership between Germany and the United States. This year’s event will honor Steve Angel, CEO of Linde plc. It also marks the 70th anniversary of the Federal Republic of Germany and the 30th anniversary of the fall of the Berlin Wall. 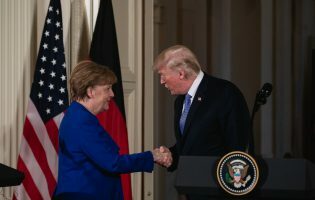 At AICGS, we are proud that our organization has been a key part of the German-American partnership since 1983 and continues to play a vital role in the transatlantic relationship. Steve Angel is the Chief Executive Officer of Linde plc. Prior to his current role, he was the President, Chairman, and CEO of Praxair, Inc. Linde plc was established through the merger of U.S.-based Praxair, Inc. and Germany-based Linde AG. Together, with a market capitalization of approximately $90 billion, they form one of the undisputed leaders in their industry. With almost 140 years of experience, Linde plc is dedicated to making our world more productive. Steve Angel is the Chief Executive Officer of Linde plc as well as a member of the company’s Board of Directors. Prior to his current position at Linde plc, he was the President, Chairman, and CEO of Praxair, Inc. Mr. Angel joined Praxair in 2001 as the Executive Vice President and was later named President and Chief Operating Officer in 2006. Prior to his tenure at Praxair, Mr. Angel spent 22 years with General Electric. A native of Winston-Salem, North Carolina, Mr. Angel received his Bachelor of Science degree from North Carolina State University, where he studied civil engineering. He also holds an MBA from Loyola College in Baltimore. Mr. Angel currently serves on the board of directors of PPG Industries and the U.S.-China Business Council. He is also a member of The Business Council, an association of the Chief Executive Officers of some of the world’s most important business enterprises. Linde plc stands for almost 140 years of technological progress and the transatlantic partnership. The company began in 1879 when Carl von Linde founded the Gesellschaft für Linde’s Eismaschinen in Weisbaden, Germany with five other partners. A few years later in 1907, Carl Linde traveled to the United States to establish the Linde Air Products subsidiary. This trip was the start of the company’s dynamic role in the transatlantic space. Today, Linde plc is a leading industrial gas and engineering company that employs roughly 80,000 individuals globally and serves customers in over 100 countries worldwide. Linde plc was established in 2018 through the merger of U.S.-based Praxair, Inc. and Germany-based Linde AG. Linde plc is dedicated to making our world more productive by providing products, technologies, and services that help their customers improve their economic and environmental performance in a continually more connected world. Dinner sponsorship is not only a sign of one’s regard for Steve Angel, but is also an effective way for companies and individuals to showcase their support for a strong German-American partnership in front of an important audience of corporate and government leaders who care deeply about this relationship. We would be delighted by your support of this partnership, and it is our pleasure to request you to join us in celebrating Steve Angel. Please submit your RSVP form by October 15, 2019 to India English at ienglish@aicgs.org. Wolfgang Reitzle is Chairman of the Supervisory Board of Continental AG, Chairman of the Board of Linde plc, and Chairman of the Supervisory Board of Medical Park AG, as well as Member of the Supervisory Board of Axel Springer SE, Member of the Supervisory Board of Hawesko Holding AG, and Member of the Administrative Board of Ivoclar Vivadent AG. Wolfgang Reitlze received the Global Leadership Award in 2010 and has been a member of AICGS’ Board of Trustees since 2011. What if I can’t attend the dinner but would like to buy an ad? If you are interested in an advertising package, please contact Ms. India English at ienglish@aicgs.org. A Half-Page Ad is priced at $2,500 and a Full-Page Ad is priced at $3,000. Please note that the Gala Program Booklet is 5½” x 8 ½”, and advertising packages are deductible as a business expense in the U.S. 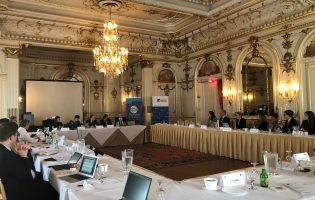 Affiliated with Johns Hopkins University, AICGS provides a comprehensive program of public forums, policy studies, research, and fellowships designed to enrich the political, corporate, and scholarly constituencies it serves. 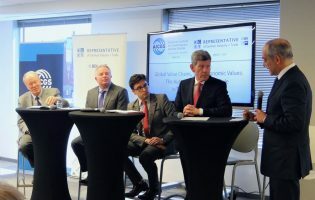 The Institute’s mission is to promote a better understanding of the challenges and choices facing Germany and the United States in a broader global arena. Every year we present our Global Leadership Award to recognize the achievements of business pioneers and government leaders who have profoundly shaped our countries’ partnership. We are honored to welcome Mr. Angel to the prestigious group of Global Leadership awardees.